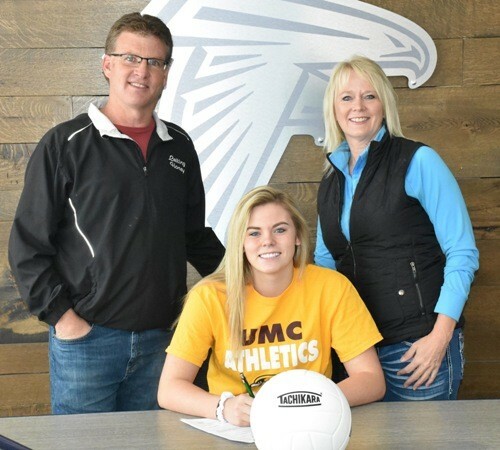 The University of Minnesota Crookston volleyball program announced the signing of a pair of Shelby Dunbar (MH, 6-0, Fertile/Fertile-Beltrami H.S.) and Bailey Mulcahy (S/DS/Fertile-Beltrami H.S.) to National Letters of Intent. Dunbar and Mulcahy show a desire for Coach Rauen and the program to find the area’s top student-athletes. The pair were both multi-sport athlete just down the road from Crookston, Minn., at Fertile-Beltrami High School. The signees add to a roster that returns 12 student-athletes from the 2018 squad. Minnesota Crookston graduated only Callie Schapekahm (Sr., MH, Eagan, Minn.) from last season’s team. Rauen has put together a roster of some of the top regional talent. 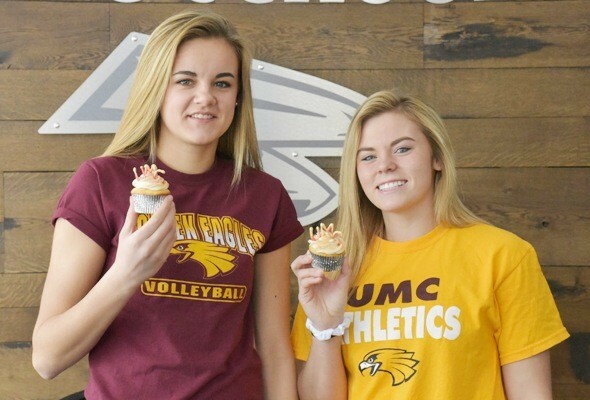 UMC currently has 10 student-athletes from the state of Minnesota, with the signings of Dunbar and Mulcahy. The Golden Eagles posted a 4-24 (2-17 NSIC) mark in 2018, but look poised to improve with a more experienced squad returning to the fray in 2019. Minnesota Crookston was very young last season. The 2019 roster will include four seniors, four juniors, three sophomores, and three freshmen. Mulcahy was an All-Pine to Prairie Conference pick for Fertile-Beltrami High School as a senior…She earned Minnesota Academic All-State for volleyball…In addition, Mulcahy earned the Triple A Award…She was named Fertile-Beltrami High School’s Most Dedicated in 2018…Mulcahy also earned All-Pine to Prairie Conference honors for volleyball in 2017…She also received the Fertile-Beltrami High School Coaches Award in 2015…Mulcahy was an all-conference pick for basketball following the 2017-18 season…She was an honorable mention all-conference pick for basketball in 2016…Mulcahy also played softball for Fertile-Beltrami High School. She is the daughter of Vaughn and Renee Mulcahy. Her mother Renee Mulcahy works at Minnesota Crookston. She plans to major in criminal justice. She earned high honor roll in high school. Mulcahy was a member of the National Honor Society. 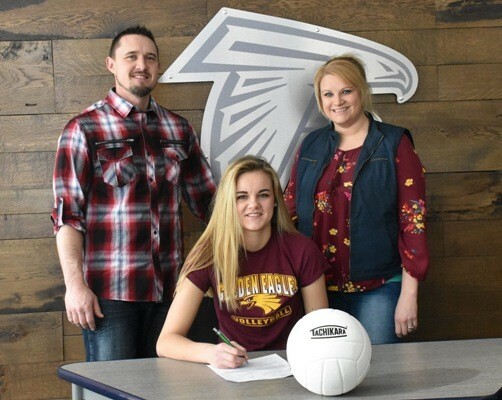 Dunbar was named the Pine to Prairie Conference Defensive Player of the Year in 2018…She was named All-Pine to Prairie Conference in 2018…In addition, Dunbar was selected as the Pine to Prairie Conference Offensive Player of the Year in 2017…She was also named All-Pine to Prairie Conference squad in 2017…Dunbar was named All-Pine to Prairie Conference Honorable Mention squad in 2016. Dunbar is the daughter of Rachael Sannes and Jason Dunbar…She is undecided on a major at Minnesota Crookston. Next articleCROOKSTON CITY COUNCIL MEETS MONDAY AT 7:00 P.M.